With a Side of Chocolate: It's Scandal Friday, my friends. If you're on Twitter Thursday nights, I'm sure you've seen something from someone you follow about #ScandalThursday. I'm absolutely positive. My Twitter blows up about an hour before and last night people were tweeting about it until after 1am. Needless to say, I have to ignore Twitter until I can watch it on Friday mornings. Hence the title. So for today's Five on Friday. That's my number one. I'm less than 20 minutes in and my mind is already spinning. two // I have every intention of starting my Christmas decorating this weekend. I'm usually a stickler for waiting until the day after Thanksgiving and I usually get so annoyed with all the businesses doing everything so early. But, this year, I'm excited. It's our first Christmas together with our own place. I'm also going to be gone all next weekend so it wouldn't get done until later in December and I want to enjoy it all for longer!! 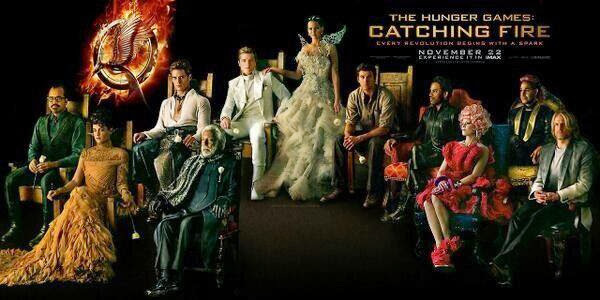 three // Catching Fire is out!! Christian enjoyed the first one so I'm hoping to drag him out to see it tonight or tomorrow. I'm thinking during the day might be better since it's opening weekend and I don't like teenagers. four // My last customer of the night last night. I spent 45 minutes on the phone with someone who at first told me the price was too expensive and then decided it would be fine. After a little bit of back and forth, he didn't fully pass credit and has to jump through a couple hoops to get our services. He was so nice to me regardless and the majority of our conversation was just spent talking about random things like cell phones and we discovered he just moved out of Charlotte and we talked about things to do around here. It was so refreshing to have a genuine conversation with a stranger who was SO nice to me even though I couldn't get his services set up for him (normally, I get yelled at). five // Our engagement pictures were a blast! Christian hates taking pictures and I gave him such a hard time coming up to the pictures to make sure he would smile and enjoy it - and he did! We had a lot of fun and I cannot wait to see them! Our photographer said it could be up to 4 weeks but he's pretty sure it'll be less than that. 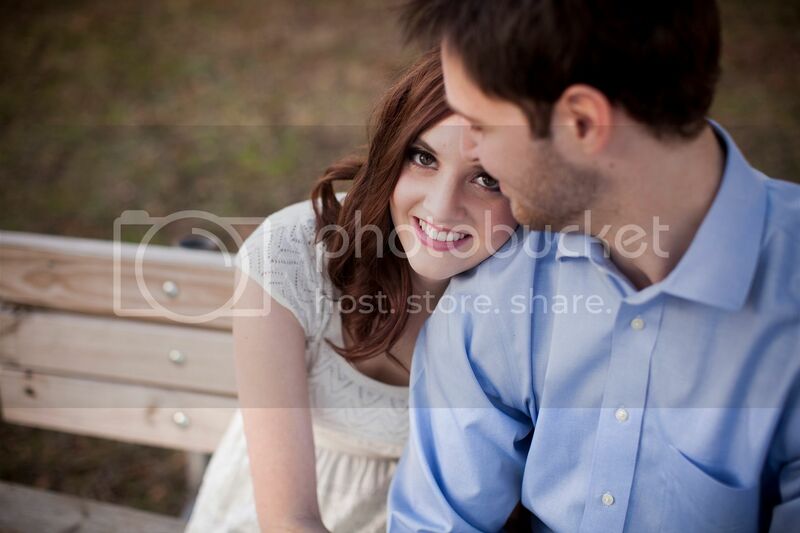 He also posted one on Instagram as a sneak peek, so I want to share that one with you! you are the one who got me started on Scandal and I am so glad you did!! Last night was so confusing to me but also so exciting! 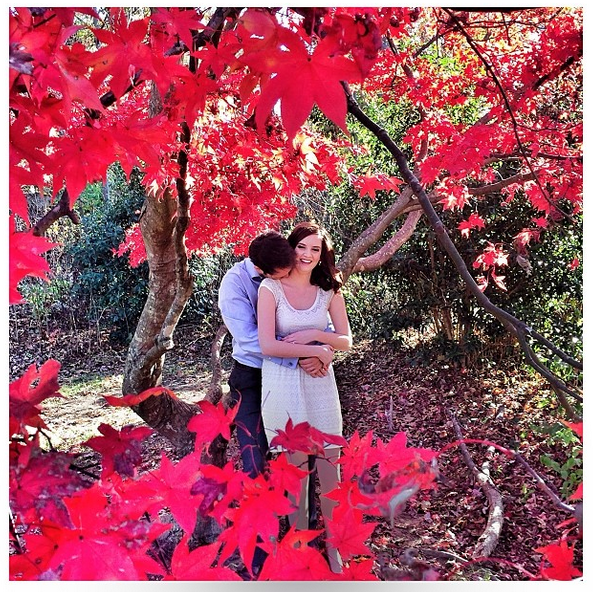 Your engagement photos are too cute :) I love Scandal! 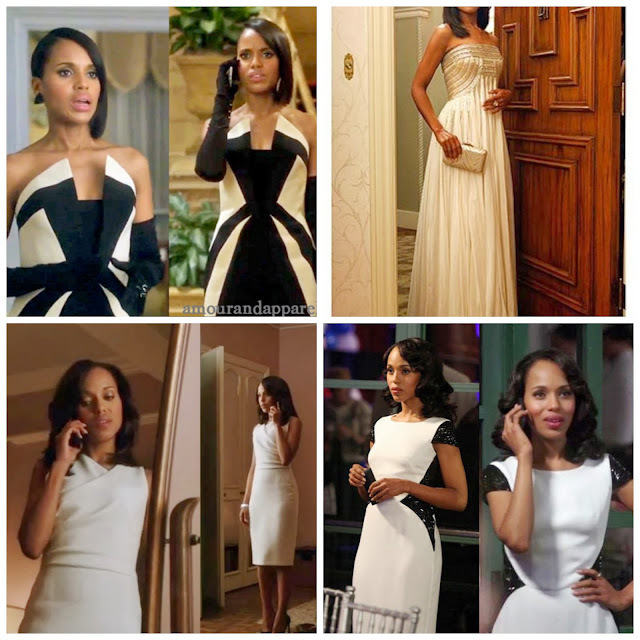 I just love Kerry Washington in it!